Clearing up a few myths. While it is commonly believed that co-sleeping will create clingy, dependent children, research proves that the opposite is true. Children who share sleep with their parents develop independence earlier and need less transitional objects because they do not experience separation anxiety. 2.Reduces risk of stress disorders, SIDS and damage to the developing brain. In his years of research on co-sleeping, Harvard psychiatrist Michael Commons has discovered that babies who sleep alone are at increased risk for SIDS and stress disorders. 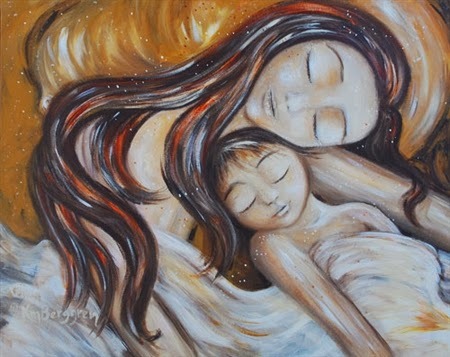 Co-sleeping babies sleep in physiological harmony with their mothers. The proximity of the mother and infant actually regulates the infant's breathing, sleep state, arousal patterns, heart rates and body temperature. Babies who are left to cry alone experience elevated levels of the stress hormone cortisol, which causes damage to the developing brain. Sleeping on a chair or sofa. In these cases the term 'co sleeping' is wrongfully used, as sleeping with an infant this way is extremely dangerous and has often happened by accident, when the parent is extremely tired. Statistics show the other main 'co sleeping' related SIDS incidents are where parent/s have slept next to the child after drinking, smoking or drug taking, (Prescription or non prescription) or severe illness, again extremely dangerous. 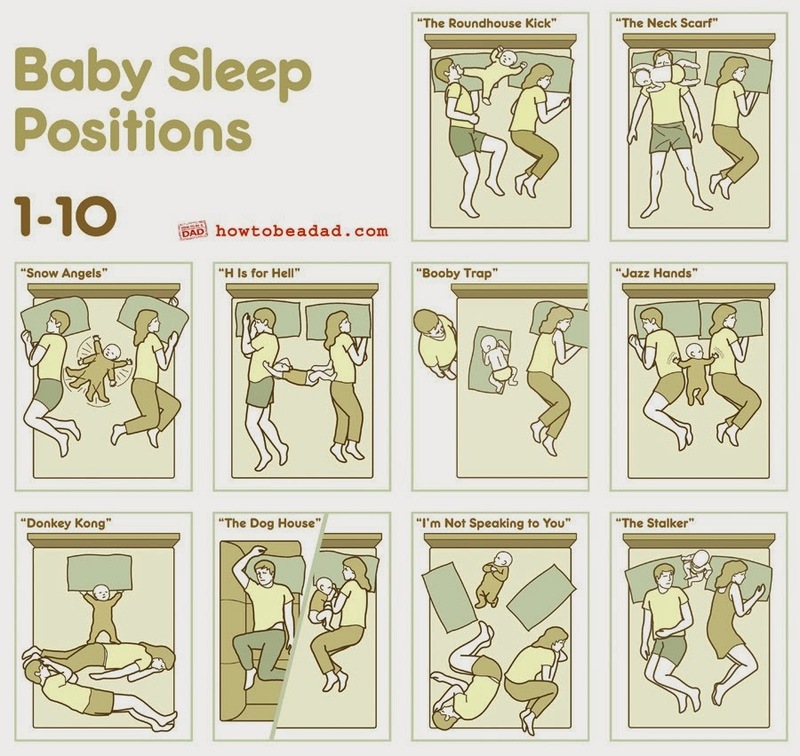 But statistics don't distinguish the difference in these cases, they get deemed as co sleeping / suffocation incidents. Children who have grown up in a co sleeping environment have increased self-esteem, experience less behavioural problems, are less prone to peer pressure and report more happiness and general satisfaction with life. They are less likely to suffer from stress disorders than children who did not share sleep with their parents. In addition to psychological benefits, babies who co-sleep appear to thrive better. Parenting expert Dr. William Sears explains, "Over the past thirty years of observing sleep-sharing families in our paediatric practice, we have noticed one medical benefit that stands out; these babies thrive. 'Thriving' means not only getting bigger, but also growing to your full potential, emotionally, physically and intellectually. Nursing mums who co-sleep with their babies report feeling better rested. Because they do not have to leave the bed to nurse, their sleep patterns are less disturbed and they feel more alert and focused during the daytime. It also establishes good feeding patterns, allowing baby to nurse during the night is very important as studies have shown the fat content of breast milk (all important for growth AND brain development) is higher during night feeds than daytime feeds. From an evolutionary perspective, infants are not designed to 'sleep through' from a very young age, night feeds are an important part of breastfeeding and waking regularly to feed is healthy. 7. Easy bedtime routines / A good attitude towards sleep. 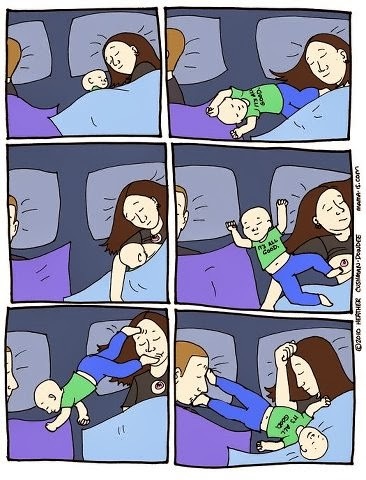 What are your opinions and experiences on co sleeping?